The more open science becomes the more opportunity there is for society to participate and share in the scientific process. The term citizen science covers a whole range of practices that do just that. Opening up the ivory tower to participation from other disciplines, communities and members of the public has the potential to enrich our culture, boost research, and democratise science. 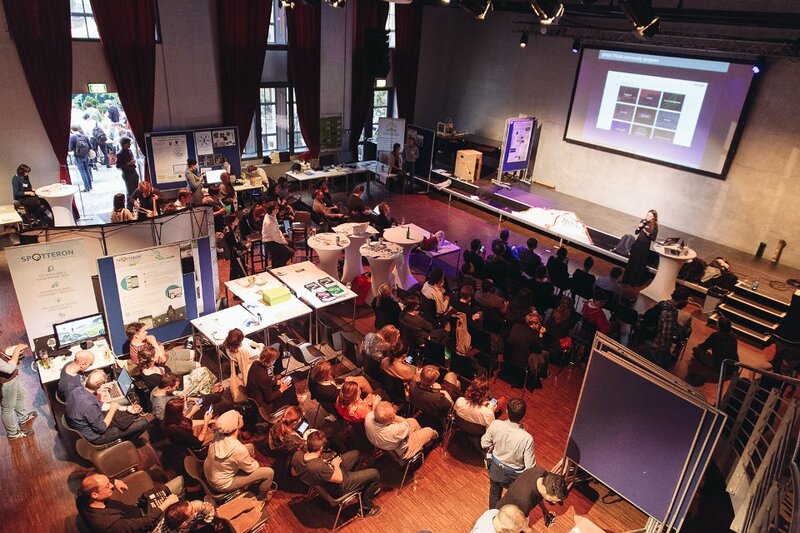 I was invited by the organisers, to help create formats to foster active participation and collaboration in citizen science in the first conference of the European Citizen Science Association (#ECSA2016), 19-21st May, Berlin. Together with Margaret Gold (The Mobile Collective) we developed two events, both open to local Berlin grassroots science communities, that created opportunities for networking and the potential for co-creation in citizen science projects: A “Citizen Science Disco” and a “Citizen Science ThinkCamp“. This was an open social shindig of an evening for connecting communities and sharing awesome science projects. We invited speakers representing some fantastic projects, both from Berlin and further afield, to give lightning talks, before getting down to some good summer evening mingling over drinks and free Flammkuchen, whilst the academics let loose on the dancefloor.